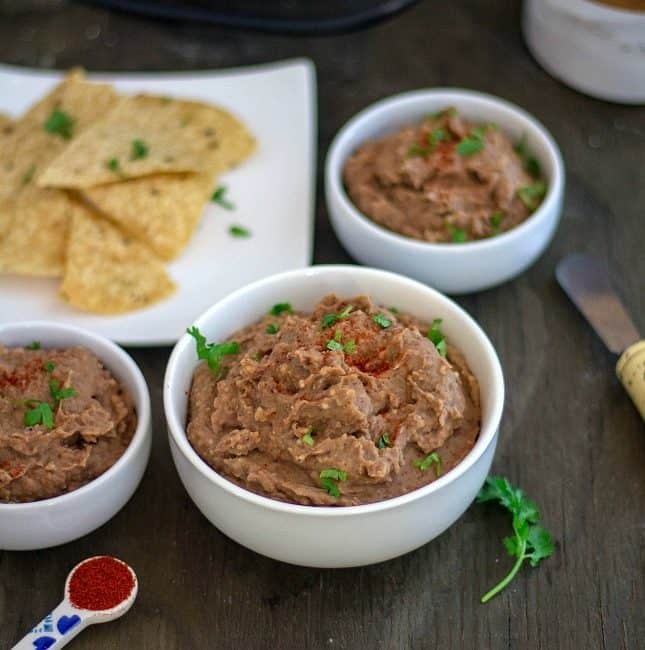 You might wonder why I am posting the refried beans recipe when it is readily available in markets. But wait, if you are concerned about the high sodium content and preservatives and broth used like me, then you are at the right place. Also, when it is not difficult to prepare it at home, then why store-bought? You can make it with the pantry ingredients that are readily available at home. Before getting into the Mexican refried bean recipe, let me answer few questions that I had in mind while exploring the Mexican cuisine. Refried beans are cooked and mashed beans that are commonly used in Mexican, Tex-Mex cuisine and also in Latin American cuisines. 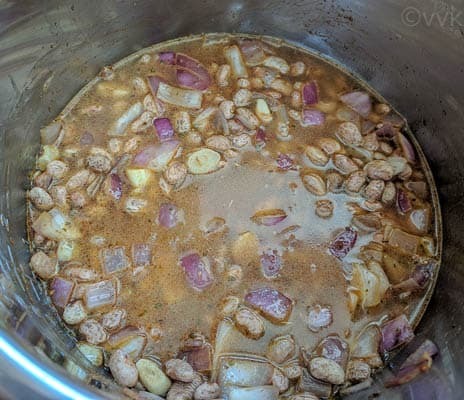 Frijoles Refritos – that’s what refried beans are called in Spanish. The term refried might be confusing. We don’t need to fry the beans before or after cooking. (Sometimes they are fried or baked, but not always) It’s a cooked and mashed bean with some spices. 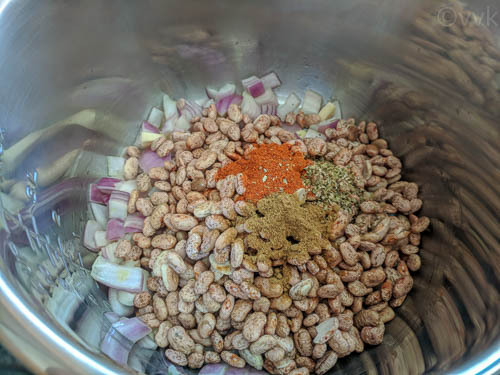 Each cuisine has its own refried bean recipe, and today I am going to share a simple version with pinto beans. 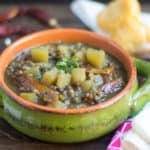 It might not be traditional or authentic, but it is definitely delicious and vegetarian/ vegan-friendly. 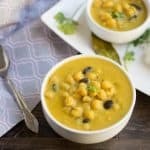 Can I use only Pinto Beans for Refried Beans? No, it is not mandatory to use pinto beans although that’s the most commonly used bean. 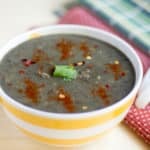 You can also use red kidney beans or black beans. Where can I use Refried Beans? You can use them in your bean burritos, nachos, enchiladas, tacos (few recipes coming soon) and what not? You can use it as a simple dip for your tortilla chips as well. 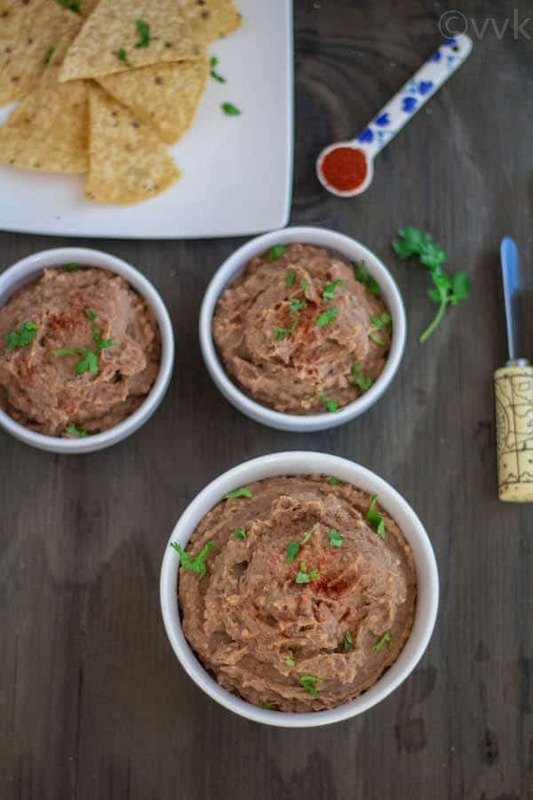 How can I store/save refried beans? You can store it in an airtight container and refrigerate if you are going to use within a week if not you can always freeze them and thaw it when needed. 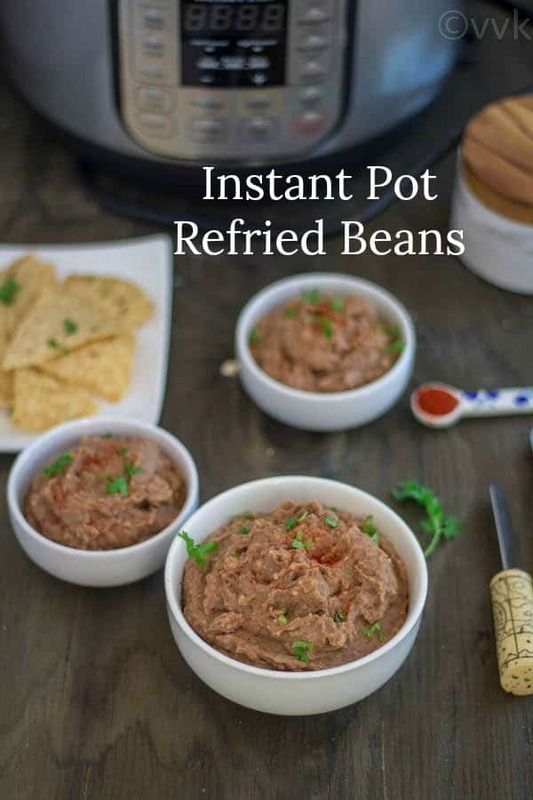 Last, but not the least, you can make refried beans without an instant pot too. I have included the pressure cooker version as well. 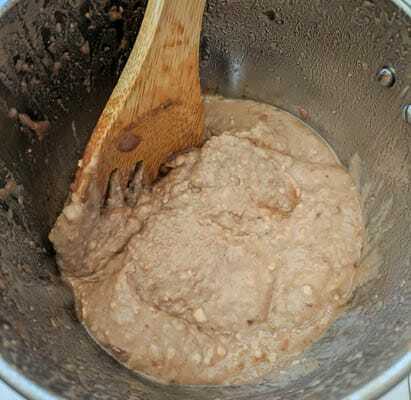 Now without any further ado, here is the very low-sodium and no preservatives added vegetarian and vegan-friendly refried beans recipe. 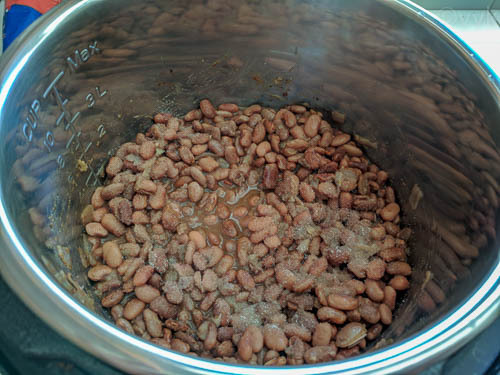 Wash and soak the pinto beans for at least one hour but not more than 3 hours. Peel the skin from the garlic cloves and chop roughly. Set the Instant Pot in sauté mode and add the olive oil. 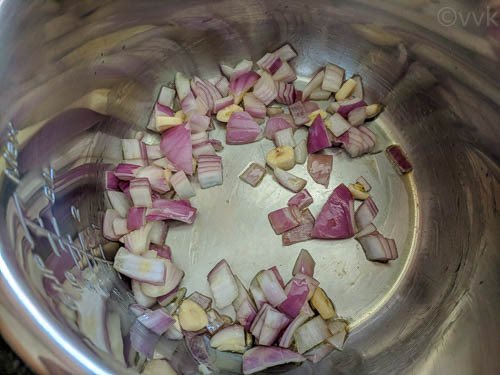 When the oil is hot, add the chopped onion and garlic cloves. Saute for a couple of minutes and then add the drained beans. Then add the cumin powder, red chili powder, and dried oregano. Either set the IP in bean mode for 30 minutes or place it in manual pressure cook mode for 30 minutes. 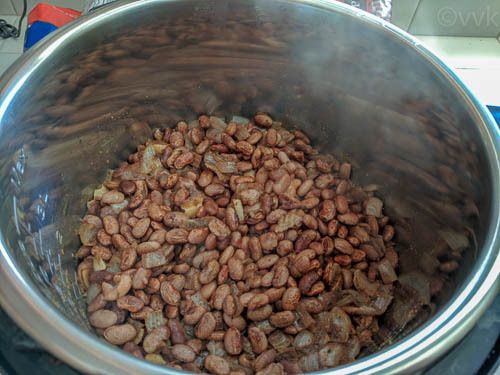 Let the beans cook and allow the pressure to release naturally. When the pressure is released, carefully open the lid and mix once. And using an immersion blender you can blend the beans or blend it separately in a mixer jar. I blended it with mixer jar. That’s it refried beans is ready. Store it in an air-tight container. Heat the pressure pan or cooker and add the olive oil. Pressure cook this for five whistles and allow the pressure to release naturally. Now add the salt and using an immersion blender you can blend the beans or blend it separately in a mixer jar. I blended it with mixer jar. Adding salt before blending helps the flavors to gel nicely. You can use black beans, kidney beans instead of pinto beans. Olive oil is preferable, but you can use any other oil of your choice. 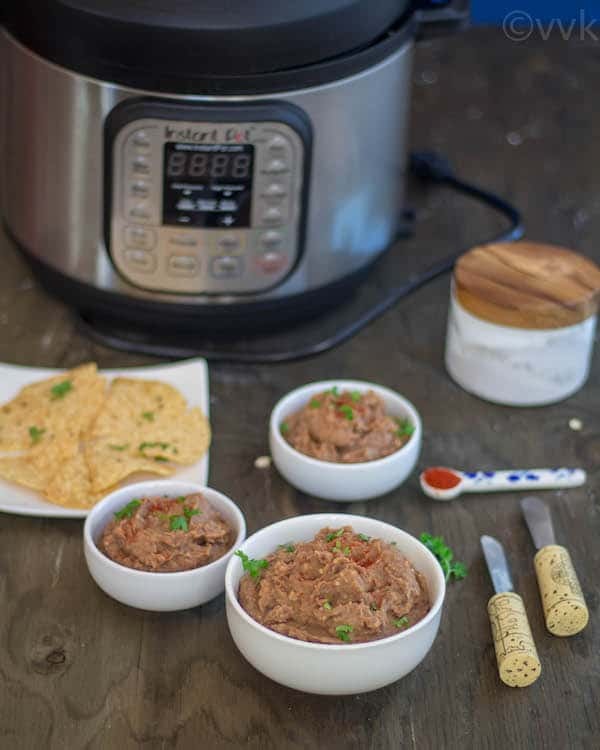 A rich and creamy homemade refried beans from scratch in Instant Pot. 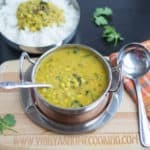 A vegan & vegetarian-friendly recipe with no high sodium content and preservatives.